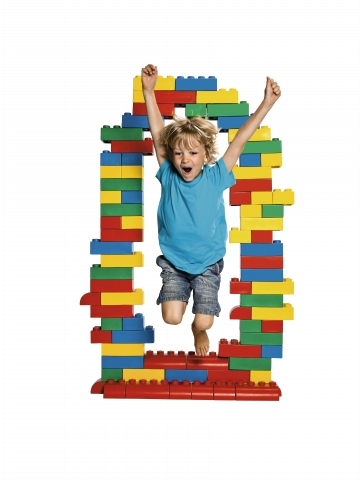 This award-winning set is packed with standard and curved LEGO® Soft elements that make it easy for children to develop physical skills and spatial awareness as they build life-sized figures, walls, towers, and obstacle courses. This set encourages exploration of space, shape, and colour while it also develops gross motor skills. Observe as children creatively set the scene and retell stories using these unique bricks. See fun activities here.